The oil and gas industry has been a male-dominated environment for the last 40 years. And, despite the industry’s best efforts to try to engage more women, the publication of the sector’s gender pay gap results has highlighted the fact that more needs to be done to encourage diversity at all levels in all roles. Figures analysed by the Press and Journal show an average pay gap across Aberdeen and Aberdeenshire of 12.6%. However if you exclude firms within the energy sector this reduces the average gender pay gap in the region to just 7.17%. The Scottish average is 9.46%. But with many women at the helm of major organisations and companies within the industry it is clear work has already started to try to diversify the sector. 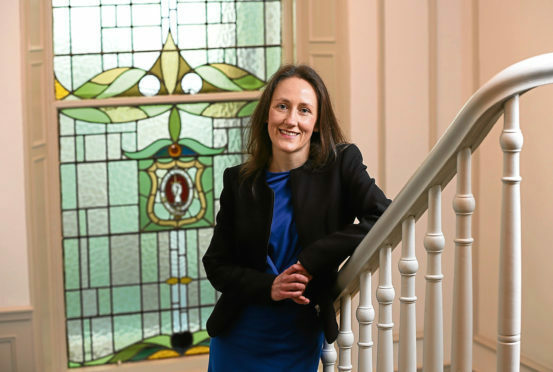 Katie Williams, partner at Pinsent Masons in Aberdeen, said the drive to encourage women into oil and gas is working and the efforts she is seeing are encouraging. She said: “In the last year in oil and gas I have noticed a massive shift in focus on this issue. I have been attending meetings by OGUK, particularly on gender pay gap reporting, and at each of those meetings there have been about 30 members, all of whom have clearly done a huge amount of work. “Even just two years ago I could not have imagined getting that number of companies in a room to talk about it. The strength and the power of this legislation and what it’s achieving is shining that light and creating requirement for not just transparency but accountability around it as well. Mrs Williams said part of the problem was not having enough women entering the sector in general in order to be able to promote. She added: “At entry point not having enough women to recruit is a problem, so it is important firms get involved with primary and secondary schools. Publicising the benefits of the stem career to try to break down stereotypes. The employment lawyer said more needs to be done by companies to encourage their male employees to take on the parental duties. She said: “There are also some really progressive family-leave policies where companies are trying to encourage men to take parental leave because that really doesn’t happen a lot. “Very few men are taking parental leave and the burden is still falling on the women to leave work. Some companies are really embracing that and offering the same amount of money to the man to take shared parental leave as they would if they were paying the woman who had the baby.